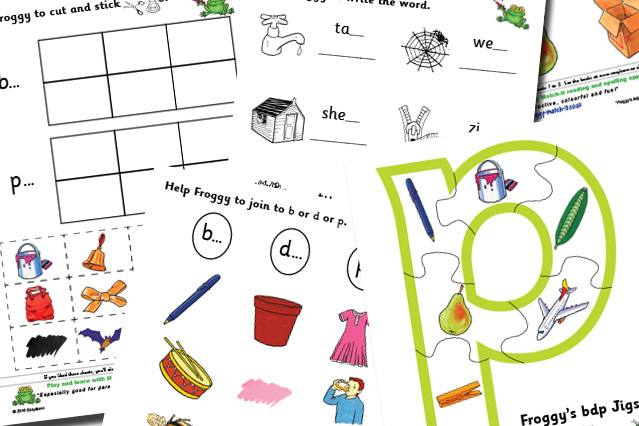 As some of you may know, each month we give away a set of extra, free worksheets that help with literacy skills and which tie in really well with particular levels of the Froggy Match-it games. These are in addition to the free 120 writing sheets which accompany each level of the app. December’s set of sheets are ideal for those children who have problems with letter reversals and mix up the letters b, d and p. This is quite a common problem with beginner readers. The sheets are designed for children who can work out c-v-c words (words such as ‘cat’, ‘pen’ and ‘ran’) and are starting to learn words with double letter endings (words such as ‘bell’’, ‘kiss’ and lock’), so fit in really well with levels 1 and 2 of the Froggy Match-it app. The sheets can to be used independently by children, so are ideal for use at school and at home. The sheets are available for anyone to download from the website. No cost, no obligation, we want you to try them and see for yourself how useful the Froggy Match-it app and worksheets are. Parents and teachers who follow us on facebook or twitter will get the download link for each new set of worksheets as they become available each month.